TTCP Express maintains an up-to-date state database to help you find information covering traffic control plans and regulations specific to each state, and even local areas such as cities and counties. 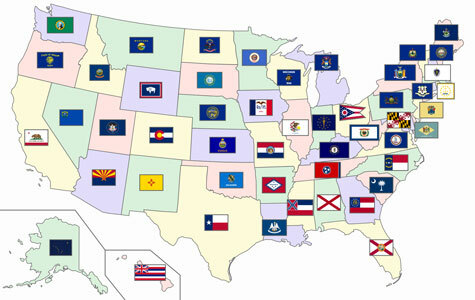 Please select your state from the following list to find out more. Detailed state Department of Transportation (DOT) information that includes: the main office, divisions, addresses, contact numbers, and direct links to each Web site. State DOT Traffic Engineering Offices have jurisdiction over all temporary traffic control on state and interstate routes. Each state can adopt the Federal MUTCD as the state standard, create a state MUTCD based upon the federal guidelines, or add supplemental information pertinent to the state’s needs. 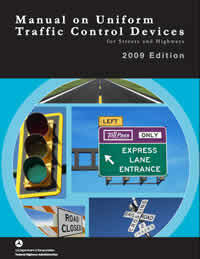 Our database provides a link to a every state’s full Manual on Traffic Control Devices (MUTCD), Part 6 covering temporary traffic control, and supplemental pages if applicable. Always “Call Before You Dig” in any area, because you never know what utility lines might be underground. Therefore, we have included contact information and links to each state’s utility locating service, which is always free to use and can prevent unnecesary injury and costly damages from happening in and around your project. The TTCP Express database also contains links to most city and county Web sites to help you find which offices to contact for permits, and to locate the appropriate traffic engineer for your specific area. City and county links are listed directly below the state DOT divisional office overseeing state routes in those areas.